After reaching No. 13 in last week's AP poll, the University of Maryland men's basketball team drops to No. 21 in the latest AP poll and No. 24 in the USA Today Coaches Poll, released Jan. 28. Tennessee (18-1) hold on to the top spot in both polls, followed by Duke (17-2) and Virginia (18-1). After winning seven in a row, Maryland has dropped back-to-back games to fall to 16-5 on the season and 7-3 in Big Ten play. 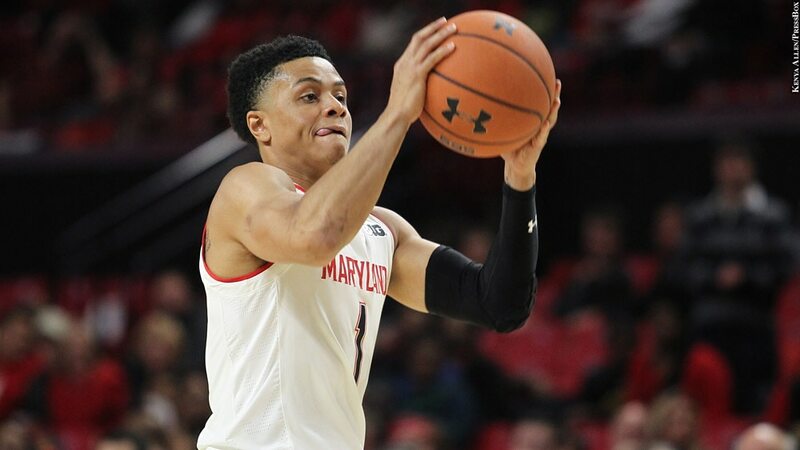 During the past week, the Terps lost to Michigan State, 69-55, on the road Jan. 21 and got beaten by Illinois, 78-67, at Madison Square Garden Jan. 26. Against Michigan State, the Terps fell behind early, trailing by as many as 22 early in the second half. 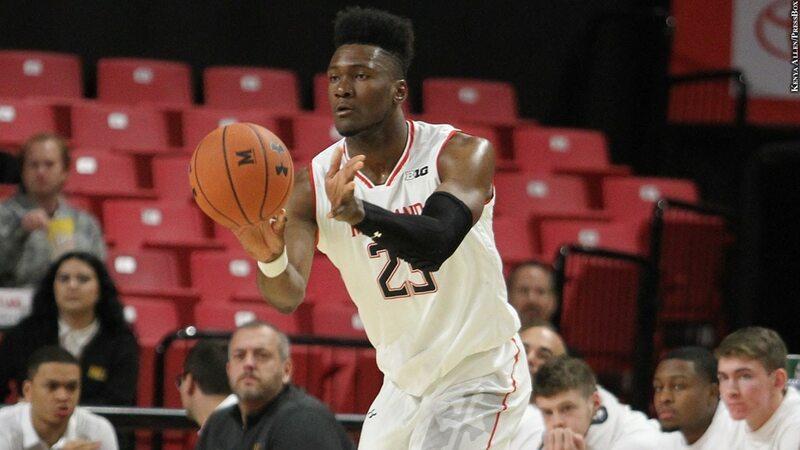 Sophomore center Bruno Fernando posted a double-double with 12 points and 13 rebounds, but Maryland struggled when Fernando was on the bench. Freshman guard Anthony Wiggins added 15 points and six rebounds off the bench in the loss. Against Illinois, the Terps committed 21 turnovers, including 15 in the second half, and the Illini took full advantage. Illinois outscored Maryland, 27-13, in points off turnovers. Maryland was also outscored, 23-6, in fast-break points as the Illini pushed the ball in transition to combat the Terps' size. Fernando had yet another double-double with 19 points and 10 rebounds, and junior guard Anthony Cowan added 18 points, five assists and four rebounds. Up next, the Terps host Northwestern at Xfinity Center Jan. 29 before hitting the road to face Wisconsin Feb. 1.